Sorry there haven’t been any kibbles ‘n’ bits this week. It’s just been too cold at Stately Beat Manor, and that’s the truth. All we want to do is pile on the blankets and chug hot cocoa. But we’ve been storing things up and now there are so many we must break this into sections. His plan is to now preserve these valuable comics for all to see. “I thought, why not take these valuable pages, beautiful comic art and preserve it forever,” he said. William teamed with his own Avengers from Seriously Fun LLC to redecorate starting with the front door. 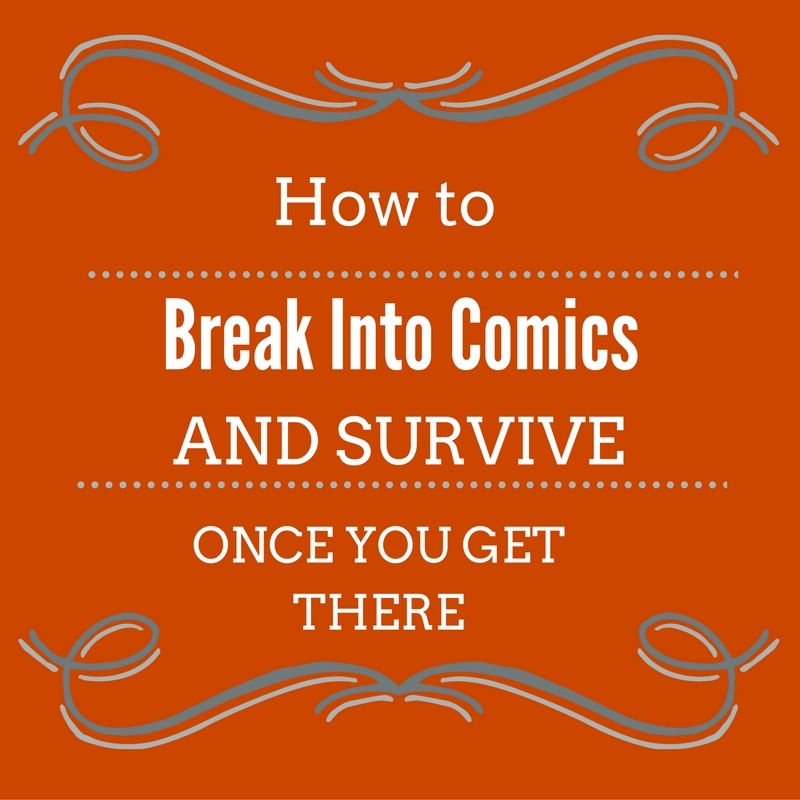 “What we are going to do is take some of the comic books and fuse them to the front door using a proprietary modge-podge method we use, that way they can be immortalized for life,” said David Noll, co-owner of Seriously Fun, LLC. § Meanwhile, in San Francisco, the Borderlands SF book store, which announced plans to close because of California’s new minimum wage law, has come up with a sponsorship plan to keep the store open. When we last met in this column, I discussed the possibility of giving it up. Five dollar comics routinely top the sales charts, and the most recent round of Big Two solicitations paint an even bleaker picture. Marvel’s solicits list eleven comics at $4.99, with two more at $5.99 and one at $7.99. Of course, as predicted, as $4.99 becomes an accepted “regular” price for comics, we start seeing more “special” comics at six dollars and up. DC, for their part, lists most of their books at $3.99 in their recent solicitations. This is disturbing because DC’s books, prior to the Convergence event, were overwhelmingly priced at $2.99. Will that price point return after Convergence ends and DC soft-relaunches their universe? Or will they use the opportunity to catch up with Marvel in the $3.99/$4.99 pricing bucket? Just this week, we see eight five dollar comics on the stands, and that’s without any from Marvel. Dynamite even has an eight dollar Red Sonja 100th issue spectacular on the stands this week. Zulkifli Anwar Ulhaque or ‘Zunar’ as he is popularly known, has been invited as a speaker at the forum to touch on human rights in Malaysia as well as the welfare of cartoonists following the bloody Charlie Hebdo massacre in Paris last month. “I will explain in detail… some people think Malaysia is a democratic country but I want to tell and expose how the government uses a law to intimidate and how they use the judiciary to detain a political prisoner,” he said in reference to jailed Opposition leader Datuk Seri Anwar Ibrahim. § Here’s an article someone sent me about comics in Poland, which gives a nice capsule history of their comics tradition. Seriously check this out — some beautiful panels in there. 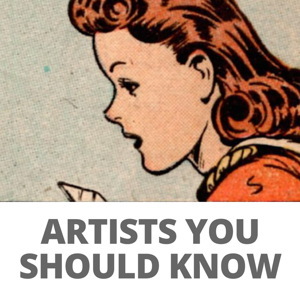 More comics and cartoonists to discover! The first Polish comics date back to the early 20th century, when the country regained its independence. As a free press started to develop, newspapers included image boxes with text in verse underneath. They were called image films, or stories in images, and were often copies of foreign comics. The comics’ main audience was the uneducated inhabitants of big cities. They dealt with many different topics: social and political affairs or customs, always with a touch of humour. The best known titles are: Ogniem i mieczem, czyli przygody szalonego Grzesia (With Fire and Sword, or the Adventures of Mad Grzes), Przygody bezrobotnego Frącka (The Adventures of Jobless Frącek). The best comics of the period can be found in the Dawny komiks polski album series (edited by comics historian, Dr. Adam Ruska from the National Library of Poland). 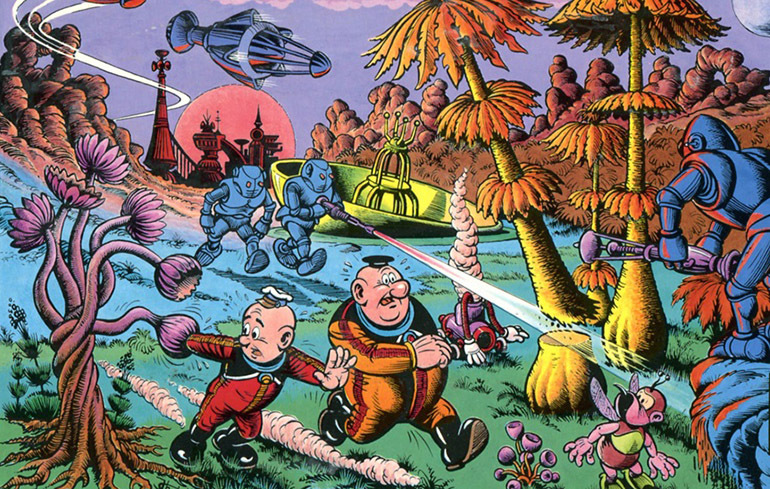 That’s a panel from Janusz Christa and Henryk Jerzy Chmielewski’s Kajtek and Koko in Space above. § Any piece called The Carl Barks / Osamu Tezuka Connection is right up my alley—two of my personal favorite cartoonists, who separately came up with a similar style based on Disney animation. The piece is byDuy Tano but it’s in support of Peter Schilling Jr.’s Carl Bark’s Ducks is a monograph coming out from Uncivilized. SOLD. § When I glanced at this piece on Axel Alonso talking about various Marvel/hip-hop crossovers I thought the first quote was from Alonso and became alarmed. Luckily it was not. § Jill Lepore’s history of Wonder Woman won the annual American History Book Prize. § And Olivier Schrauwen and Jaime Hernandez won medals from The Society of Illustrators. We just received word that two of our new graphic novels have received Society of Illustrator awards in the Long-Form category! Olivier Schrauwen’s surreal look back, forward and beyond Arsene Schrauwen was awarded the gold medal while and Jaime Hernandez’s The Love Bunglers, the apex of the love affair of Maggie and Ray, has received the silver medal! § June Thomas reports on a recent Matt Groening and Lynda Barry summit. § The duo are interviewed about Harley Quinn and will appear TONIGHT at the Ringling Museum of Art in Sarasota. Tanzania banned a newspaper for publishing a critical political cartoon. There’s an awesome comic scene in Poland, a lot of great comics there. Unfortunately very few make it to the west in english translated versions. Someone needs to do something about that.